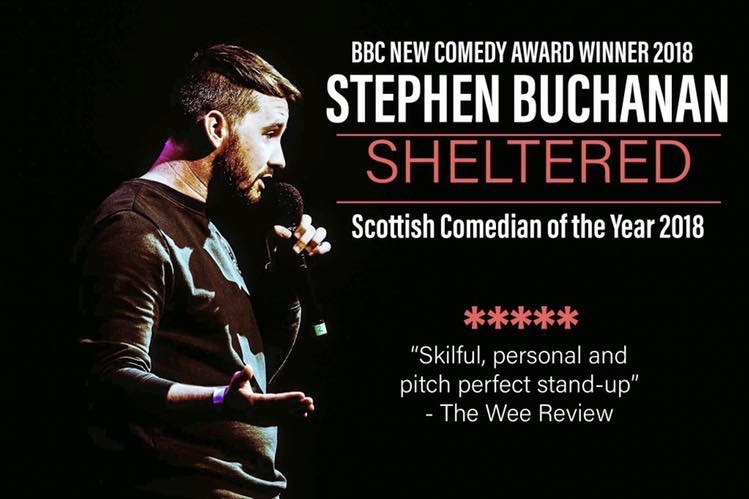 Stephen Buchanan is one of the fastest rising prospects in Scottish Comedy. He was runner-up at the Scottish comedian of the year final 2017 and won the BBC NewComedy Award in 2018. 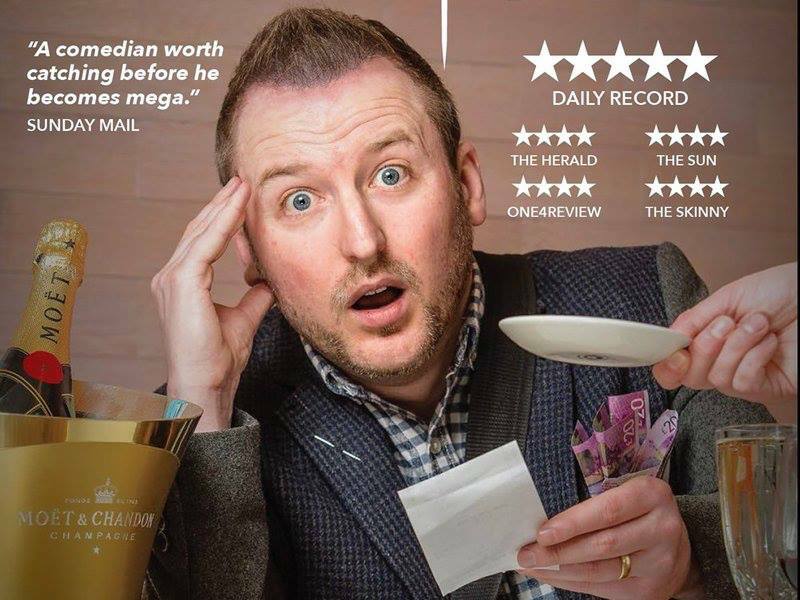 He has three sold-out Glasgow comedy festival shows under his belt and is also establishing himself as a promising writer with credits from BBC Radio Scotland panel show 'Breaking the News'. In 2016, Stuart made his debut at the Edinburgh Fringe, with his show 'Dealt a Bad Hand' at The Pleasance Courtyard. The show received critical acclaim and sell out audiences culminating in an extra show due to demand. His follow up show “Gordon Ramsay’s Karma Café” received excellent 4 and 5-star reviews from its 2018 run at the Edinburgh Fringe. Stuart recently followed in the footsteps of Dara O’Brian, Paul Merton and Craig Ferguson by being handpicked to perform in the 'Best of the Edinburgh Fest' showcase at the Perth, Adelaide and Melbourne Comedy Festivals. There's a real warmth and honesty running alongside the clever wordplay and sharp one-liners. He was also endorsed by Hollywood actor Will Ferrell after performing in Los Angeles. He is the longest running panellist on BBC Radio Scotland's 'Breaking the News'. Stuart has written for 'Mock the Week' (BBC1), Newsquiz (BBC Radio 4), The Now Show (BBC Radio 4) and 'The Loser World Cup' (BBC Radio Wales). Due to his writing skills and the ability to tailor material for any event he is highly in demand as a host of events and award ceremonies across Europe and beyond!